Lack of communication or failure to communicate well is at the root of many problems between individuals and within organisations. Poor communication can cause even a well-planned project to fail, whereas effective communication can help a team overcome the greatest challenges and obstacles to succeed. Many people think they are communicating effectively when they are not. Communication in general is a transmission and exchange of ideas and information from one individual to another. However, in order for the communication to be ‘effective’, the receiver must understand exactly the same idea or information as the sender originally intended to transmit. Thorough knowledge of the communication process is vital in leadership roles as this is the method by which you will be directing, supervising, evaluating, coordinating, coaching and counselling the other members of your team. It is essentially the chain of understanding which links all members of a group or organisation, no matter where they may be in a hierarchy, from one side to the other and from top to bottom. Forming the thought – this is the conversion of information which exists in the mind of the sender into ideas, concepts, feelings or factual information. Decoding the message – this is when the receiver interprets and translates the words or symbols into ideas, concepts or facts that he or she can understand. Problems in communication usually occur in the encoding or decoding stage. Often the sender cannot understand why the receiver did not understand their communication when they have obviously received it – this is because the message was not decoded properly by the receiver and therefore misunderstood. The best way to get around this is by feedback, which is communication back from the receiver telling the sender what they understood the message to be. This underlies the fact that the communication process is all about ‘information exchange’, not just information giving. Messages can also be misunderstood due to problem interpreting the content of the message, i.e.. the words or symbols usually linked together to make grammatical and semantic sense. However, different people can interpret different meanings from the same words, causing even the simplest to be misunderstood. In many languages, the same words can also have different meanings, which makes it even easier to confuse the issue. Context is the other thing which needs to be considered as this affects the way a message is delivered and can have a strong influence on changes in meaning. Contact depends on non-verbal elements in speech, such as body language, the emotions of the sender, the tone of voice, even the look in the sender’s eyes. 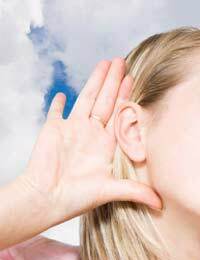 Humans tend to believe what they see, more than what they hear, so context can aide in improving understanding although it can also mislead. Communication will always be vulnerable to misinterpretations and misunderstanding but with practice, you should be able to improve your communication skills, in order to limit or reduce these barriers to communication.